This is a seemingly ordinary but particularly interesting T-shirt project I designed. 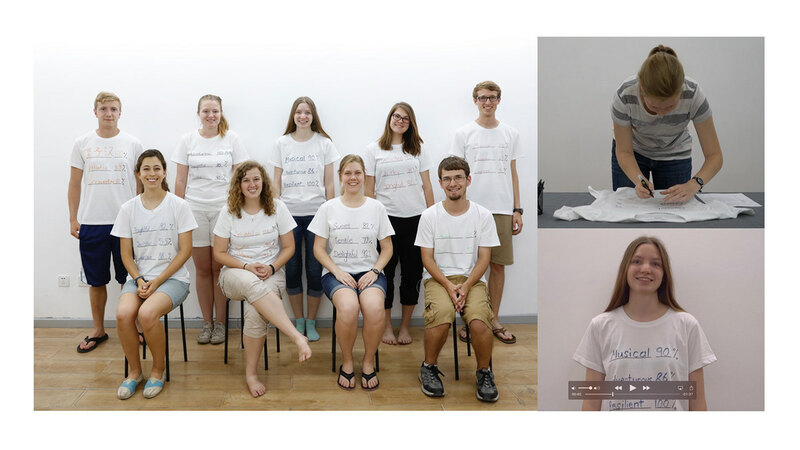 Each T-shirt reflects each person’s characteristics and interests. It is equivalent to a person’s characteristic label and my inspiration came from the candies description in IKEA candy bins. 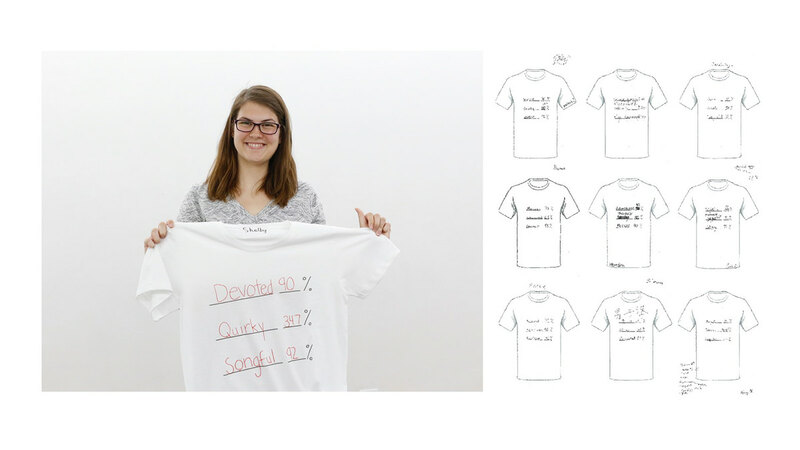 Wearers should first fill three blanks on the T-shirts with words that describe themselves the best, as well as the percentages of each characteristic and write them on the shirts. Two strangers wearing such a shirt could learn about each other via the T-shirts without talking to each other; hence a new acquaintance may begin. As a characteristic reflector, it helps people communicate with others and understand each other.